The Saga of Despair and Hope depicts humanity in deep devastation and crisis, which bring out the worst and best in people. Their choices might turn them into either heroes or villains—the saviors or destroyers of the human soul. 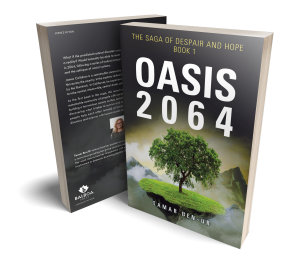 Oasis 2064 is the first book of the saga celebrating the courage, wisdom, and determination of those who fight evil.